Add the green chartreuse, fresh pineapple juice and lime juice to a cocktail shaker. Add ice and shake vigorously until the outside of the shaker begins to frost. Strain into a collins glass over ice. Garnish with the mint sprig. Mint, pineapple and anise on the nose. This ones got a cool and refreshing taste with herbal, anise and pineapple flavor and smooth citrus notes. The finish is sweet and herbal and is sure to please even those who aren’t the biggest fans of chartreuse. Yup, you read that right, this drink is literally just called “Pineapple.” This simple tipple comes from Craig Schoettler during his time at Drumbar in Chicago. You might also recognize his name from such places as The Aviary and more recently as property mixologist at Aria in Vegas. If you’ve been following The Straight Up for a while, you may have noticed that I don’t post many drinks with juice in them. While I definitely love a few shaken cocktails (here’s looking at you Aviation and Last Word), for the most part I’m a stirred kinda guy. 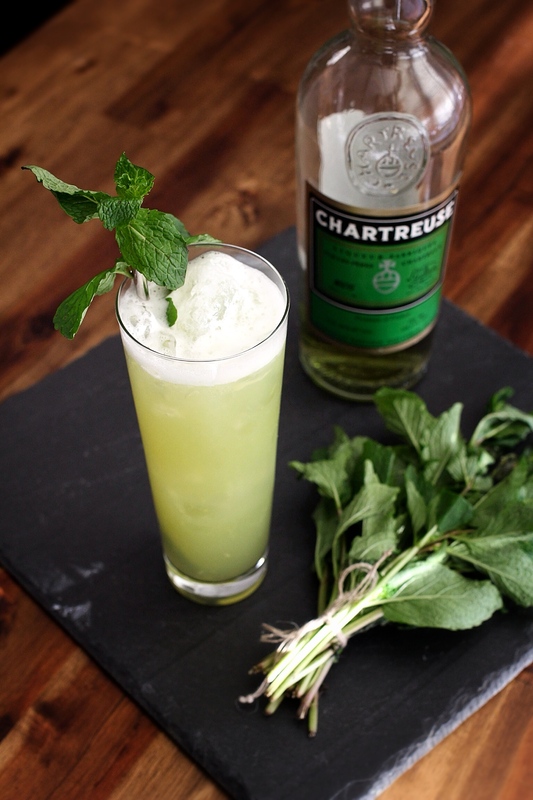 That being said, this drink is delicious and it will even make your friends that “hate” Chartreuse turn a new leaf. Btw… Stay tuned as this is just the first of a few I’ll be putting up from my trip(s) to Drumbar. Definitely worth your time if you find yourself in the Windy City. For what it’s worth, and as someone who is often disappointed in “craft” cocktail bars, these guys are some of the best. …until I tried it. This thing was pretty awesome. Plus, it grew on me the more I sipped, mainly because my preconceived judgments began to fade the more pineapple laced chartreuse I consumed. The high octane green chartreuse still comes through with great flavor, well accented by the combo of pineapple and lime juices. It tastes a bit like the love child of a Last Word and a Mojito and really will appeal to a very broad audience, including snobs like me and even chartreuse “haters.” Just be warned, this Pineapple is dangerous. Two ounces of 110 proof chartreuse never went down so smooth…. 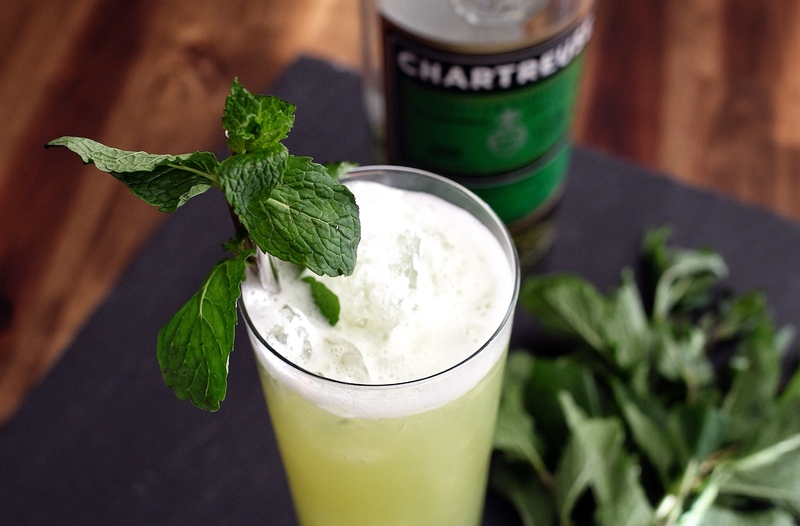 I love green chartreuse (although 2 ounces sounds dangerous!). Another successful pineapple + chartreuse combo is Audrey Saunders’ Tantris Sidecar (this one with a base of cognac & calvados). I’ll have to give that one a try sometime. Sounds tasty! 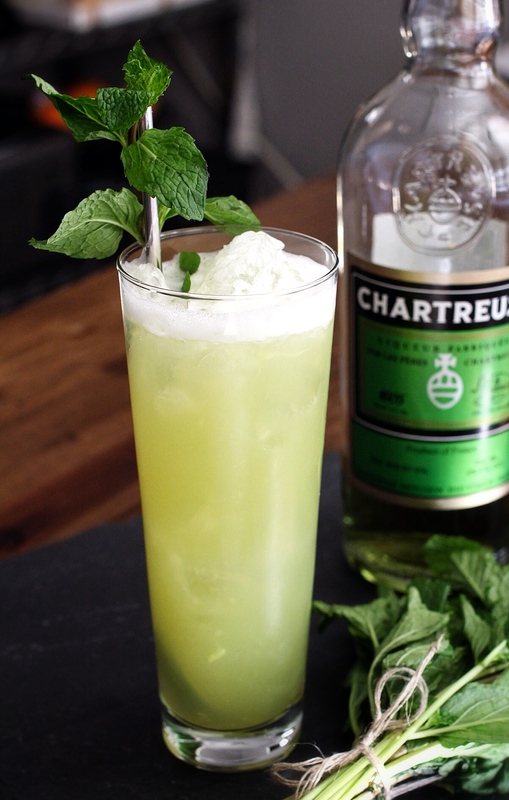 Sounds a lot like a Chartreuse Swizzle. More juicy, and without Falernum’s spice. Another Chartreuse/pineapple cocktail worth trying is the Shrinebuilder, at the Whistler in Chicago. They are similar drinks for sure. Have to give that version a shot some time when I don’t want to use so much chartreuse! Shrinebuilder sounds awesome. May have to try to make verdita one of these days so I can try it. Nicely written. Pineapple/lime/mint…what do they NOT go well with? A well-balanced drink, one I hope to make soon. Thanks! And I agree that’s a great combo. Hope you like it!